These sterling gold tree of life stud earrings will lend a fashionable touch to every outfit. Celtic tree of life jewellery adds smart style to any jewellery box and helps you branch out in your choices of sterling gold earrings. 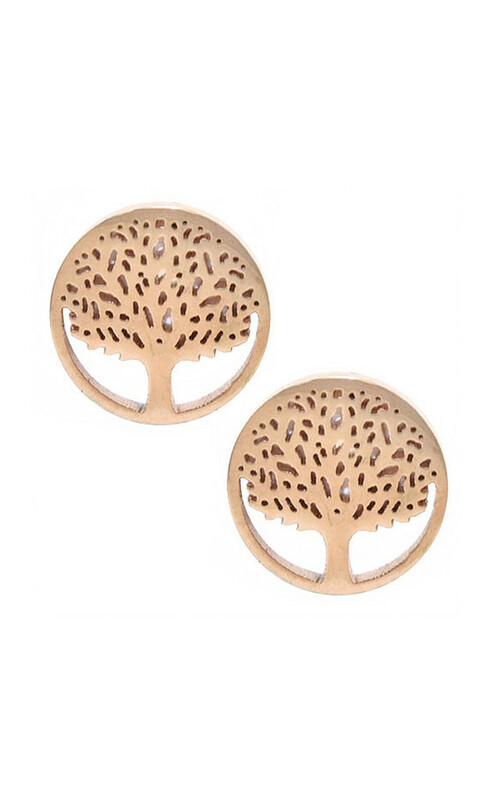 Our gold tree of life stud earrings are made in a round design and stay shiny.